December 6, 2017 Domino Plastics Company Inc.
End market diversity is the blessing for manufacturers of extruders. Extruders are used to make pipe and siding in the construction market, sheet and blown film in packaging and tubing for medical. Not to mention custom extrusion for everything from aerospace to writing instruments. One slow market segment can be offset by another hot one, machinery officials said. In construction, single-family housing starts were up 8 percent year to date through October, from the same period a year ago, on pace to hit an annual rate of 877,000 in 2017, according to the U.S. Census Bureau. Starts are beginning to get a boost from reconstruction activity from Hurricanes Harvey and Irma. November 15, 2017 Domino Plastics Company Inc.
NPE2018: The Plastics Show has been chosen by the U.S. Department of Commerce to participate in its 2018 International Buyer Program (IBP). The IBP is a joint government-industry effort under the jurisdiction of the Commerce Department’s International Trade Administration (ITA) that brings thousands of international buyers to the U.S. for B2B matchmaking with U.S. firms exhibiting at major industry trade shows. November 13, 2017 Domino Plastics Company Inc.
Mexico City — The increasingly sharp rhetoric over the future of the North American Free Trade Agreement wasn’t exactly center stage at Plastimagen. Visitors and exhibitors said the focus was definitely on business. But still, like the hum of the machinery running in the exhibition halls, it was constantly in the background and could not be avoided. September 4, 2017 Domino Plastics Company Inc. 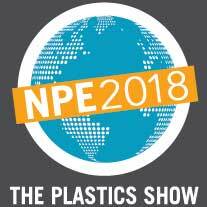 The Plastics Industry Association (PLASTICS) has unveiled a modernized NPE logo and announced its new show tagline for NPE2018. The new logo features more modern colors and updated creative elements while staying true to the ‘globe and banner’ aspect the NPE brand has been known for through the years. The new tagline, “The Plastics Show”, replaces the old tagline of “The International Plastics Showcase”. “The changes are aligned with our need to continue attracting more end markets to the show so they better understand the material of plastics and its many wide and varied applications for products. The tagline is more inclusive and attractive to more professionals within the plastics product lifecycle, from ideation to finished product to recycling and reuse,” says William Carteaux, the president and Chief Executive Officer of PLASTICS. September 1, 2017 Domino Plastics Company Inc.
Texas Injection Molding LLC was spared from major damage from Hurricane Harvey. But the Houston company’s employees haven’t all been so lucky, and that includes CEO Jeff Applegate. Applegate was overwhelmed with the way the Houston community has reacted to the disaster. Likewise, he is thankful for the support he’s been offered from plastics industry colleagues. “It’s a good testament to the industry. When times get tough, people care and want to lend a hand,” he said.